Natural remedies are an option for some of our patients who are looking to improve quality of life, avoid pharmaceuticals, or simply try “everything”  before committing to surgery. Although we do not provide these services in our office, we do understand that massage, acupuncture, yoga, herbal remedies, and/or dietary changes may help improve your symptoms and help provide you with a better quality of life. When thinking about trying a natural approach to treating Endometriosis it is important to understand that natural approaches may be able to help with symptoms; they might even help suppress the growth of the disease temporarily. Unfortunately, once the disease has progressed to a certain extent, natural remedies may prove to be less and less effective. 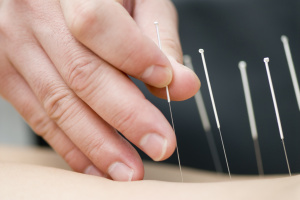 For example, acupuncture may help alleviate pain for a few months, but it likely will not prevent the disease from getting worse. Similarly, herbal supplements and dietary changes may help for a little while, but they will not be able to reverse the progression of the disease. The only known way to eliminate endometrial implants from the body is to surgically remove them. If a patient insists on using natural treatments, sometimes the best thing to do is have surgery, remove any signs of the disease, and begin natural treatments afterward to try and prevent the re-growth of the disease. Because there is no absolute cure for Endometriosis, a variety of treatments may be the key to successful management of the disease. Please discuss your treatment ideas with Dr. Davis; together he will help you create the best treatment plan.